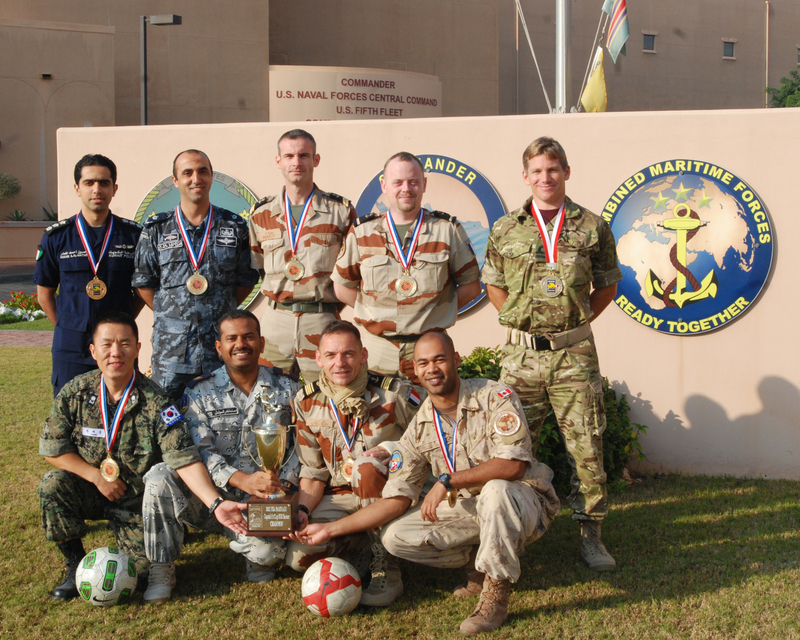 A truly international team of Navy and Coastguard soccer players triumphed in the Naval Support Activity Captain’s Cup soccer league held at the Bahrain-based US Navy Fifth Fleet Command Headquarters this season. 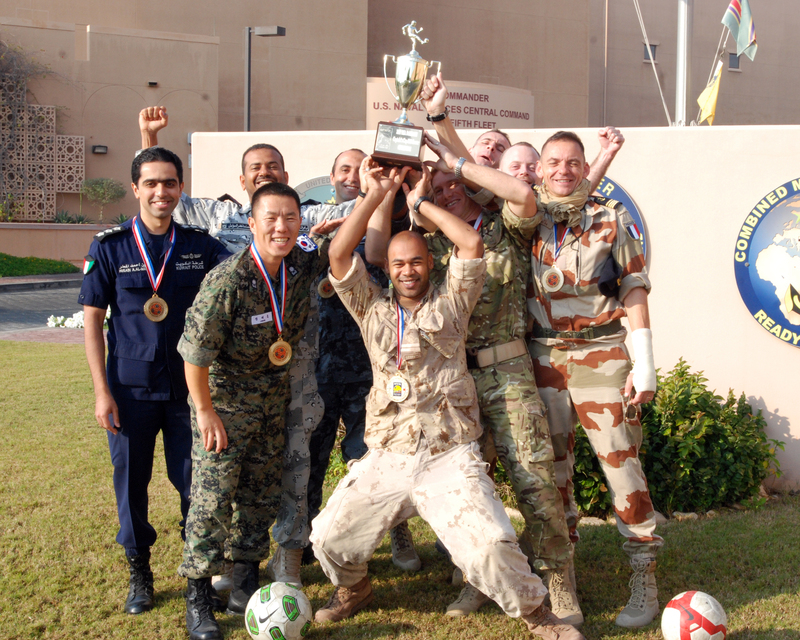 In a fiercely competitive match, the 25-nation Combined Maritime Force team, the Coalition Stars, took the trophy in a nail-biting 2-1 final in a series of 17 tough matches. Coalition Stars competed against a variety of teams from the US Navy, Air Force, Coastguard and other tenant commands. The Coalition Stars’ winning streak saw a total of 12 match wins as they forged through the league against curiously named opposition teams, such as “The Whistle Pigs”, “Shady Groves” and “The Replacements”. With an average age of 35, the Coalition Stars put up a strong and experienced defence while the talented footwork of Lt Matt Greenhill from the Royal Navy and Captain Khaled AlZahrani from the Kingdom of Saudi Arabia’s Navy each scored goals to clinch the final. Not all the Coalition Stars players who played in the Captain’s Cup were able to complete the season due to the regular rotation of senior Navy representatives through the maritime HQ. Fourteen of the original line-up have returned to their respective countries for national duties but all can look back on the warm bonds of friendship forged both on the sports field in Bahrain and serving as part of the Combined Maritime Forces.